Quick Start Guide. 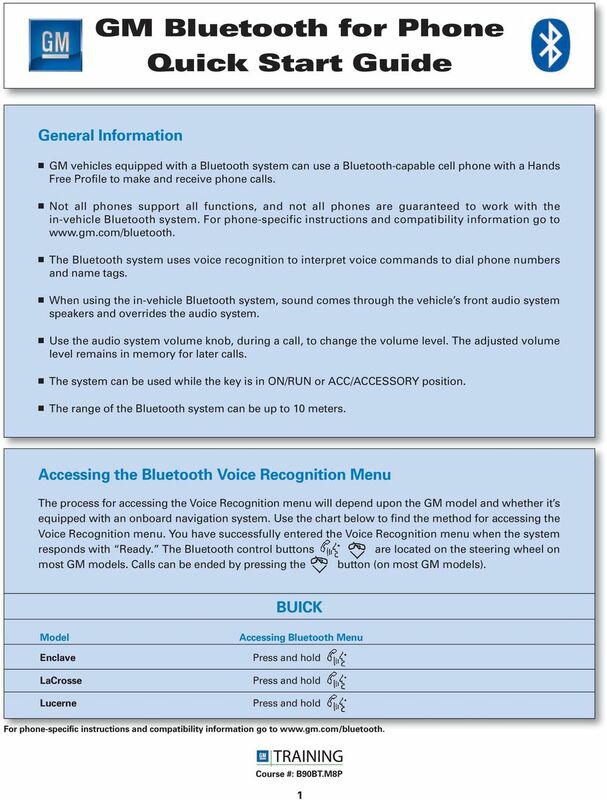 The Bluetooth system uses voice recognition to interpret voice commands to dial phone numbers and name tags. Download "Quick Start Guide. 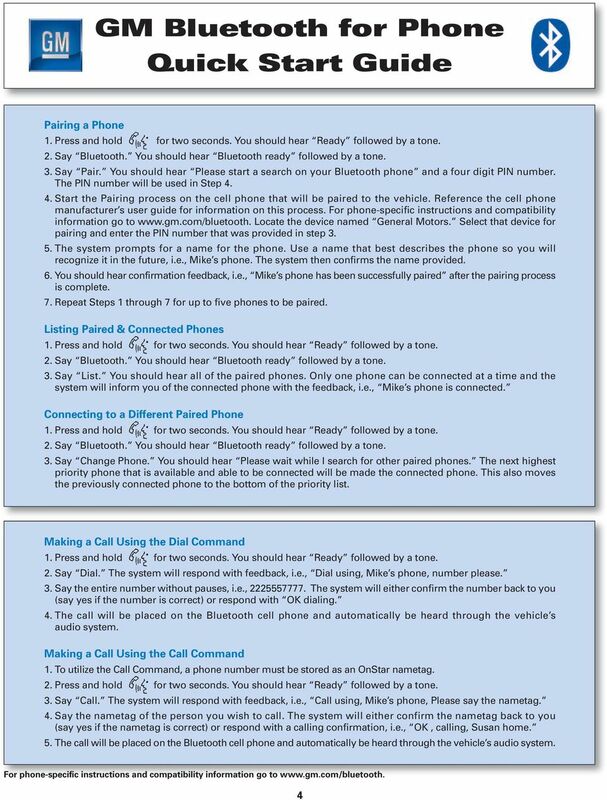 The Bluetooth system uses voice recognition to interpret voice commands to dial phone numbers and name tags." 2 CADILLAC with Navigation without Navigation CTS then say Hands Free. DTS Escalade STS Navigation-based Bluetooth. See Owner s Manual. XLR Not applicable CHEVROLET Avalanche Cobalt Corvette Equinox HHR Impala Malibu Silverado Suburban Tahoe TrailBlazer Traverse Acadia Envoy Sierra Yukon GMC button not included on vehicle. See page 5 for additional instructions. Document ID: 3443421. This PI was superseded to update concern and subject line. Please discard PIC5428D. 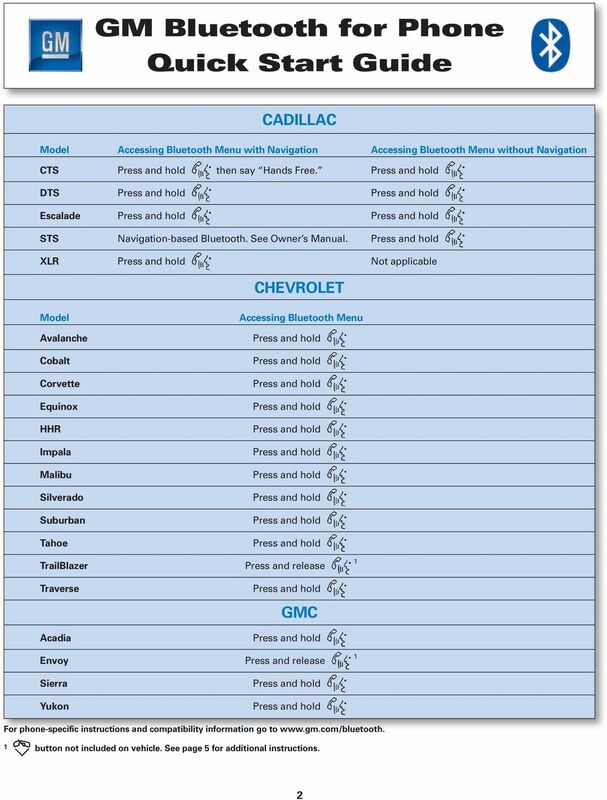 Q: How do I identify if my vehicle is eligible for an update? 1. What is the main difference between the X3 micro and other Bluetooth headsets? 3. How does the X3 micro use the Bluetooth technology? X3 Micro FAQ X3 Micro General 1. What is the main difference between the X3 micro and other Bluetooth headsets? 2. What is included in the X3 micro package? 3. How does the X3 micro use the Bluetooth technology? 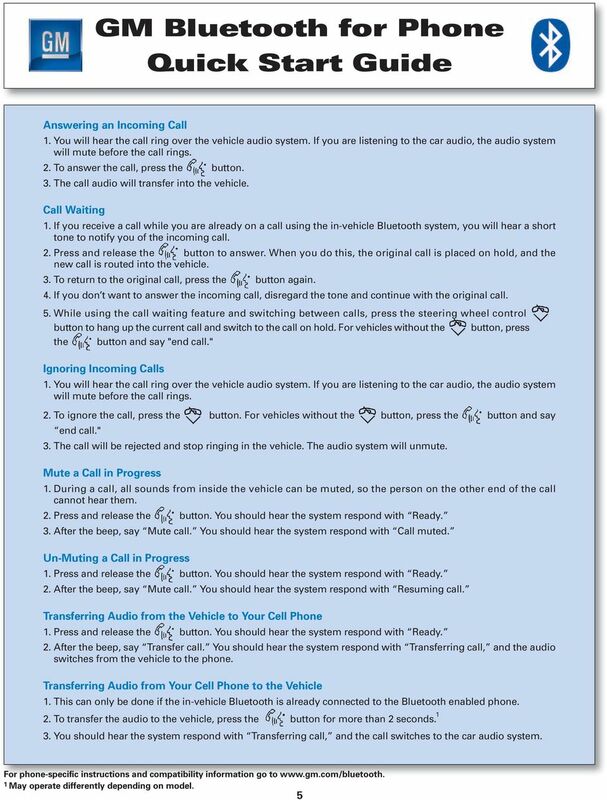 Owner's Manual for Voice Control. The Convenient Alternative to Manual Control. Parrot MINIKIT+ Frequent Asked Questions. 2 START BLUETOOTH 1 CHARGE YOUR BEFORE YOU BEGIN FEATURE HANDS-FREE SPEAKER. motorola Portable Bluetooth Hands-Free Speaker. 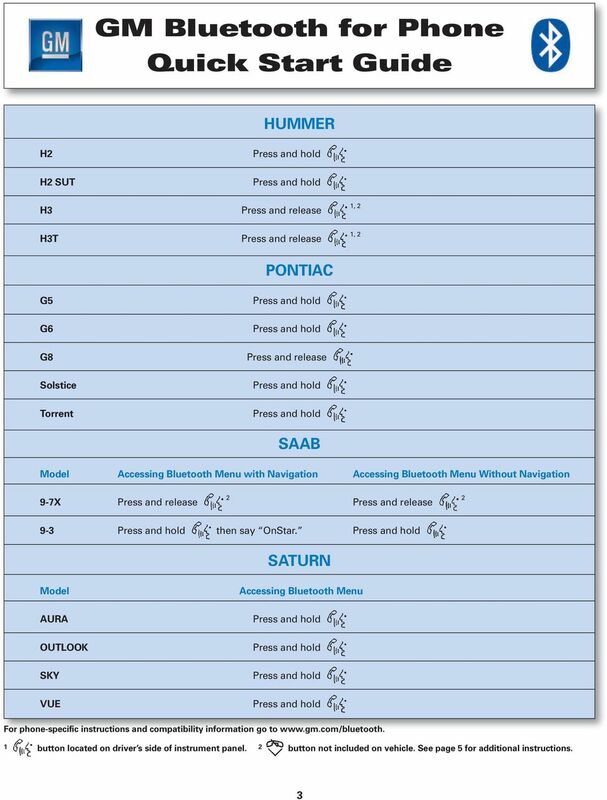 Owner s Manual FULL PREPARATION PACKAGE MOBILE PHONE 2007 Bayerische Motoren Werke Aktiengesellschaft Munich, Germany Reprinting, including excerpts, only with the written consent of BMW AG, Munich.